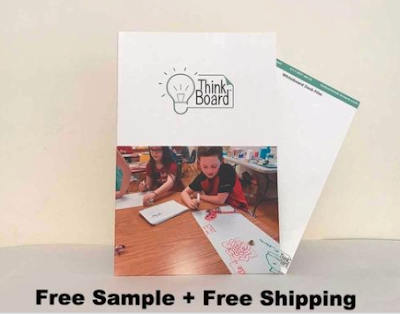 Right now you can head over and request for a FREE Think Board Folder. Scroll down the page to the last row of products, you will find three different folder samples for free. Just add one to your cart and check out. Shipping is free and no payment information is needed.